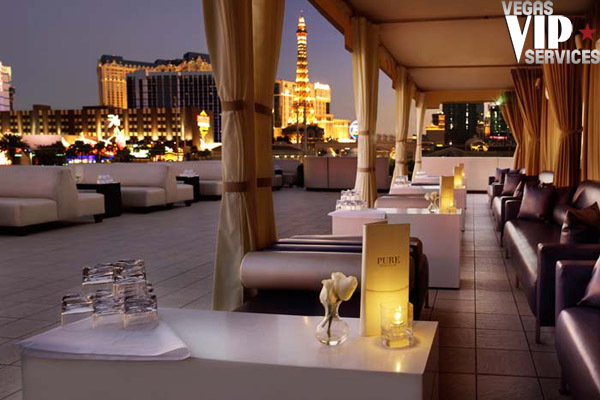 PURE Las Vegas at Caesars Palace has been named the No. 1 Club in the Country by E! 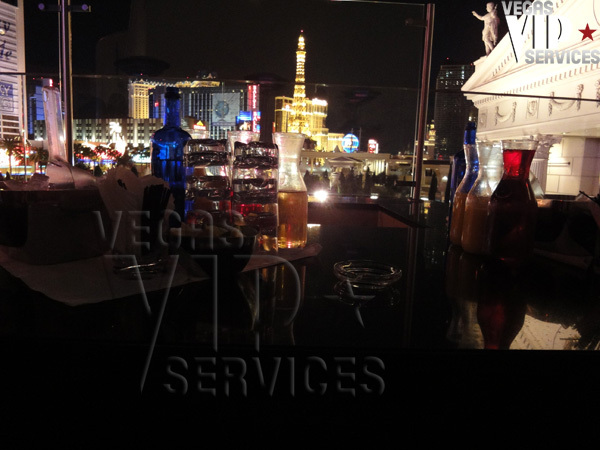 Entertainment, and has been dubbed the top Las Vegas club by America Online, Las Vegas Review Journal, Las Vegas Weekly, and Las Vegas Citylife. It is an enormous two-story nightclub at 40,000 square feet and features four distinct venues, each housing its own DJ, sound system, and style. The main dance floor faces a VIP area reserved primarily for celebrities. 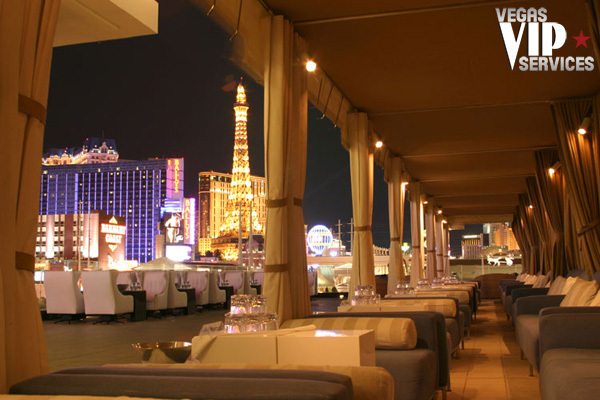 The 14,000 square foot terrace on the second story offers two different venues and an incredible panoramic view of The Strip. The Pussycat Dolls Lounge is a more intimate venue, tucked away at the front of the club. 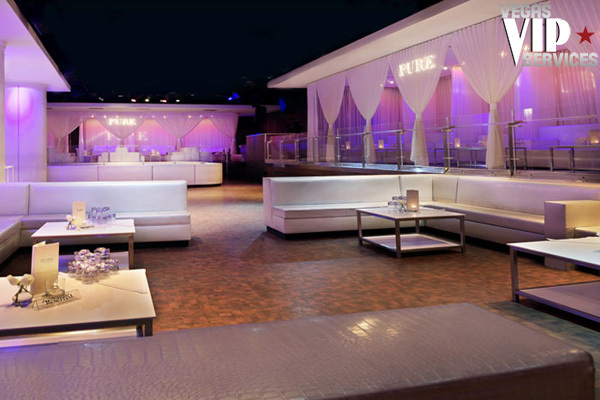 Club PURE is open Tuesday, Friday, Saturday, and Sunday, 10 p.m. until the early morning hours. There are live performances in the Pussycat Dolls Lounge every Tuesday, Thursday, Friday, and Saturday at 10:45 p.m. and 11:45 p.m. Dress code is labeled "casual chic" and fashionable attire is required. No sports jerseys, tank tops on men, tennis shoes, or athletic wear are permitted. 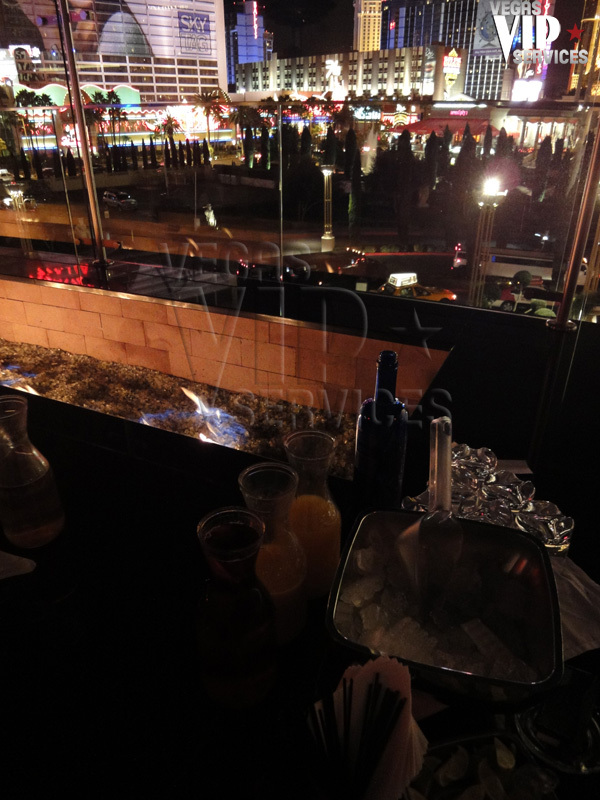 Contact Vegas VIP Services to reserve your VIP table at Pure Las Vegas. Normally, I would've have gone out of my way to watch the show. I mean - girls dancing... and it's not even the original PCD girls. But wow - I watched the whole show from the singing to the trapeze to the bubble bath. The girls were quite the entertainers. I was very impressed. It was the great start to a fun night of dancing. Love Pure so much. I like that I can party it up on the main dance floor and when that gets a little old (or a little hot) I can walk upstairs and be on the balcony with a gorgeous view of Las Vegas Blvd. In a town where everything is ripped down, revamped, and renamed in a matter of months, longevity is surprising. I checked out Pure on my best friend's bachelorette party. We had such a blast. There was hip hop in the main room and some house on the roof top. So fun.